Back in my day, you were lucky to get a personalized letter declaring your acceptance or denial into college. Nowadays, with the marketplace as competitive as ever, we needed to kick things up a notch. 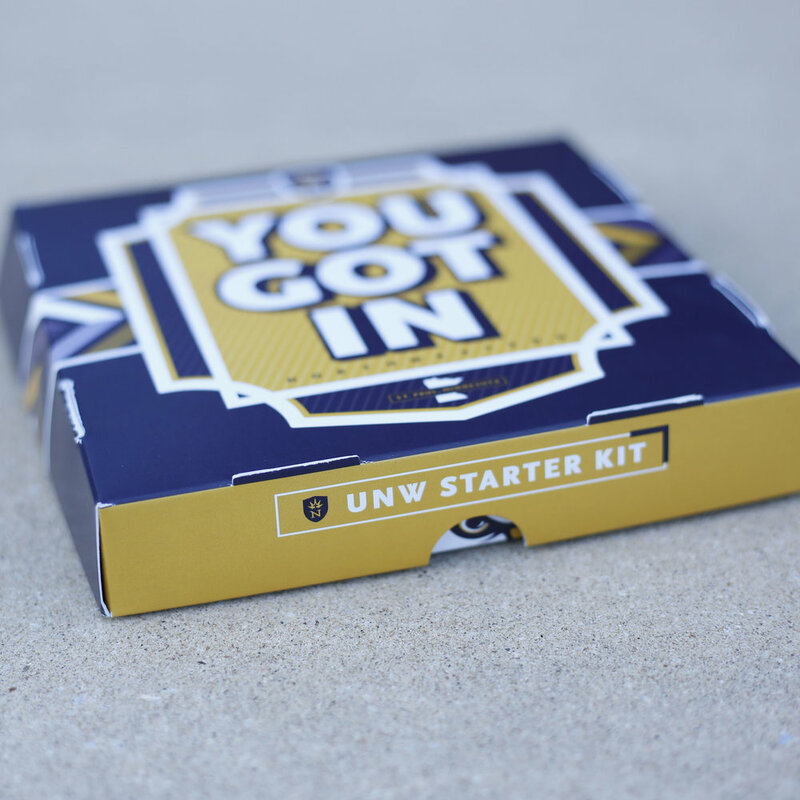 Enter the UNW Starter Kit, mailed out to all of our admitted students. 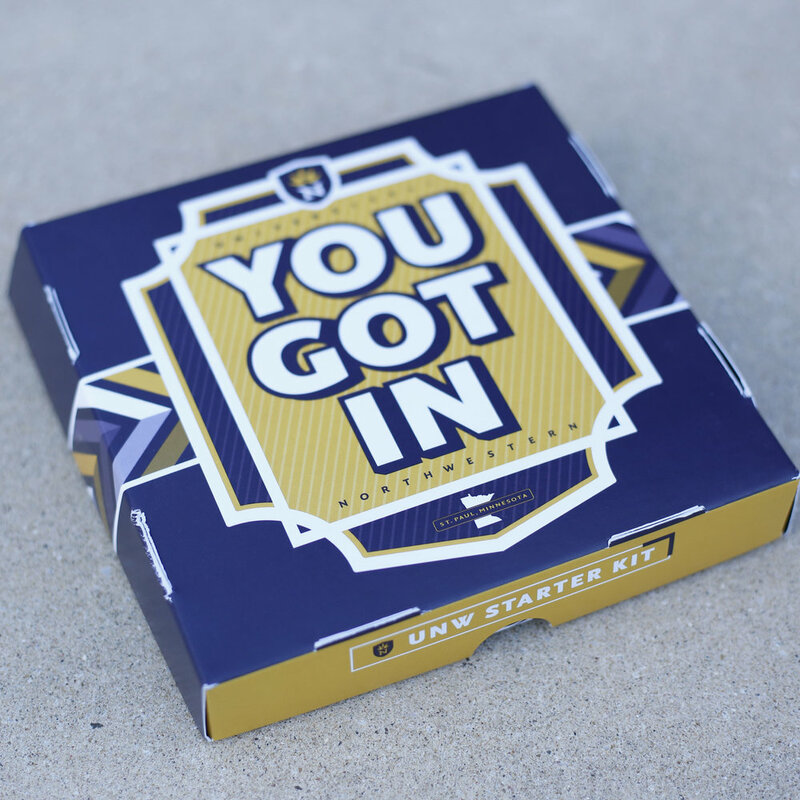 This fun package announces their admission into Northwestern, and provides them with some gear to get ready for their new start. 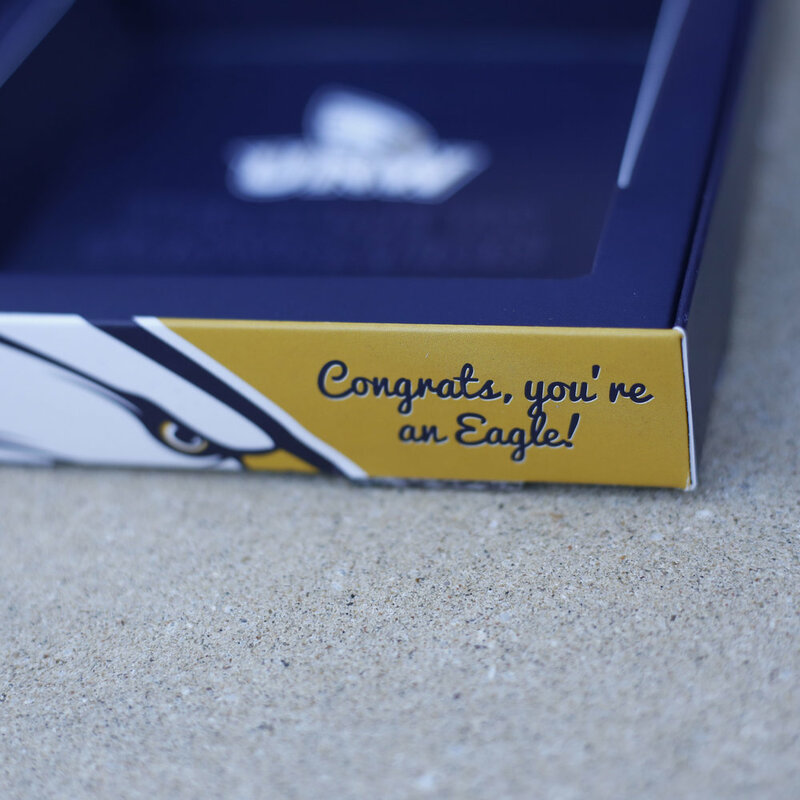 The back of the box features an image of the campus rock, where students often tag engagements, birthdays, or other messages. The transparent address labels gave a personalized "insider" feel to this special "welcome to college!" package.